Greg showed his used eBay purchase of a video tripod and is experimenting with Facebook Live video. 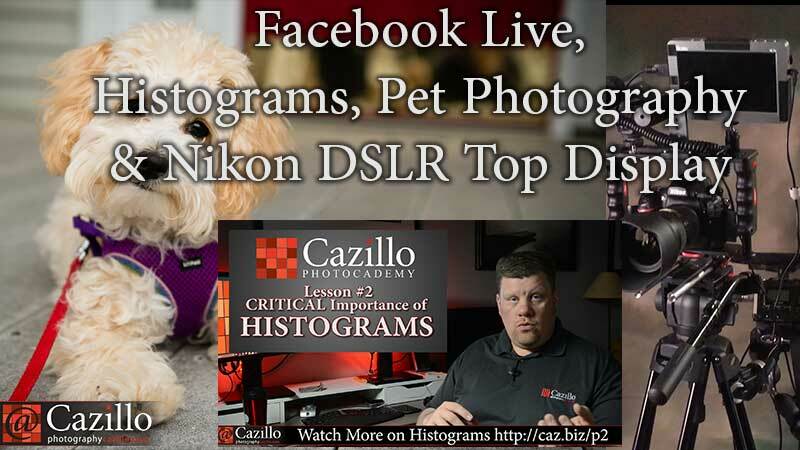 #Cazillion questions were about histograms, pet photography, and how to change some of the settings on a Nikon camera in the top display. Keep shooting!